Big Brother 12 is just days away, which means Big Brother 12 news will start to be released any minute! 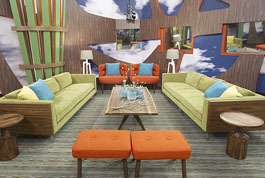 On Wednesday, WeLoveBigBrother.com will be discussing the new house design in detail and will talk about our experience as we participated in this season’s Media In-House Day. As we reported last week, WeLoveBigBrother.com is once again heading into the Big Brother house for Media In-House Day to compete in a week’s worth of challenges and survive in the house with other journalists from around the country. We sent in our very own Matt Maynard to represent the die-hard Big Brother fans on our website. How did Matt do? Check back Wednesday, June 30th as he will be revealing details about the new house and talking about his experience in the house. Be sure to follow us on Twitter to be notified when we release the details and videos! Read more about Big Brother Media In-House Day here. 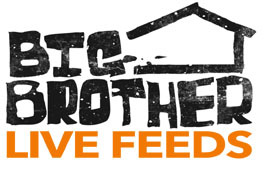 Also, time is running out to save 25% on the Big Brother 12 live feeds! If you plan on watching the BB12 live feeds from inside the Big Brother house, you must sign up before the season starts (July7) to save 25% with the Earlybird Coupon! When signing up, simply use the coupon “BB12QTEARLY” and save $10. Using the Earlybird coupon, the entire season of Big Brother 12 live feeds is just $29.99 ($39.99 after July 7th). So don’t wait for the season to start on July 8th — sign up NOW to take advantage of this offer! For more details about this season’s Earlybird coupon and live feeds, click here.